More SPEED and INTELLIGENCE than Ever Before! BobCAD-CAM is a leading CAD-CAM software provider in the UK and throughout the world. Our integrated CNC Software is found in all areas of metalworking and CNC programming for 2 axis, 3 axis, 4 axis and full 5 axis CNC Milling, Lathe, Routers, WaterJets, Plasma and Laser machines. Our easy to learn CAD-CAM can accommodate the CNC machining needs of small businesses as well as large part machining and mass production manufacturing businesses. BobCAD-CAM is a modular CAD-CAM product, allowing CNC shops to use what they need now and add-on as their CNC toolkit expands. BobCAD-CAM can be found in Automotive, Aerospace, Jewelry, General CNC Machining, Custom Woodworking, Fabrication, CNC Medical device industries and many others. As CAD-CAM software in the manufacturing process proves to increase CNC programming productivity, our CAM system 2D & 3D toolpaths provide efficient cycle times and quality parts, finished on time so that your shop can remain on the technology edge of CNC parts manufacturing. BobCAD-CAM’s family of CAD-CAM Software delivers cutting-edge performance in feature-rich software applications resulting in reduced cut time. BobCAM for SOLIDWORKS™ Gold Partner CAM solution lets you program powerful toolpath operations for part models right inside of SOLIDWORKS™. and see for yourself why BobCAD-CAM is the fastest growing CNC Machining Software throughout Europe.
" 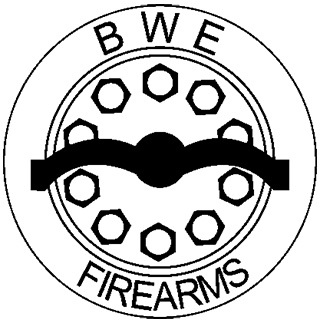 BobCAD has enhanced my business, it saves me a lot of money, but more importantly it’s allowing us to get big contracts with big companies and make 100% U.S. made products. " 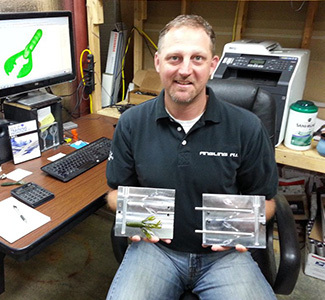 John Hashey | Arty Joe’s Inc.
" BobCAD-CAM software is directly responsible for allowing me to develop my own ideas for fishing lures and turn it into a full time career. " 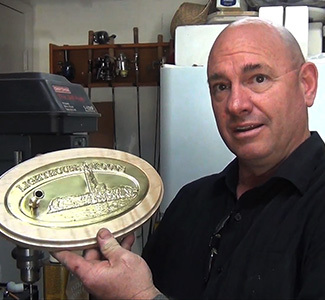 " With BobCAD, I’ve been able to make parts that I simply wouldn’t be able to make otherwise. " We’re Here To Get You There Quicker. Learn new ways to save time and money in the shop through one of BobCAD-CAM’s many effective training solutions, designed to equip you with the knowledge and confidence to handle any job.